CPR Ready was created in response to alarmingly low public awareness in Philadelphia of how to react during a sudden cardiac arrest. Our mission is to drastically improve the survival rate of people who experience out-of-hospital cardiac arrest by educating and empowering the public to perform hands-only CPR, which can double or triple a victim’s chance of survival. This campaign promotes hands-only CPR because recent studies have suggested that it is just as effective as traditional CPR and hands-only CPR does not require bystanders to perform mouth-to-mouth resuscitation, which often prevents bystanders from administering CPR on a stranger. 1. Improve the survival rate of people who experience out-of-hospital cardiac arrest by energizing and expanding existing resources and programs. 2. Double the number of people who are willing and able to perform bystander CPR and use an automated external defibrillator (AED) when available. 3. Triple the current bystander CPR response rate in Philadelphia and achieve a 60% rate for the 5-county region. 4. Teach CPR/AED education in at least half of middle and high schools in the Philadelphia region in the next 3 years. Long-term, all regional middle and high schools will teach CPR/AED education. 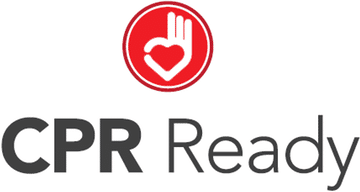 Please visit www.cprreadyphl.org to learn more about CPR Ready and how to get trained in CPR.